Lisa, born Luke*, knew from an early age that she was meant to be a girl, and identified as such, wearing feminine clothing and going by the name “Jackie*” around Bay Ridge, Brooklyn. When she was 10, Lisa’s “double life” was revealed when her mother overheard kids calling her Jackie. Unaware that Lisa had been presenting as a girl in public, her mother pulled down the child’s pants in front of the neighbors and demanded, “Does this look like a girl to you?” From then on, Lisa was bullied unmercifully. Formerly an A+ student, she dropped to the bottom of the class after changing schools five times. At home, Lisa was shunned, teased, and hit. To escape the pain, she ran away at 13 years old and found an accepting community in the West Village. What she believed to be a loving relationship with a “boyfriend” quickly revealed itself for what it really was: a drug abuser, pimping out a young girl he got addicted to crack, in order to support their drug habit. Life on the streets was a constant struggle, and at 19, Lisa discovered she was HIV positive. For decades, she battled addiction and served jail time. 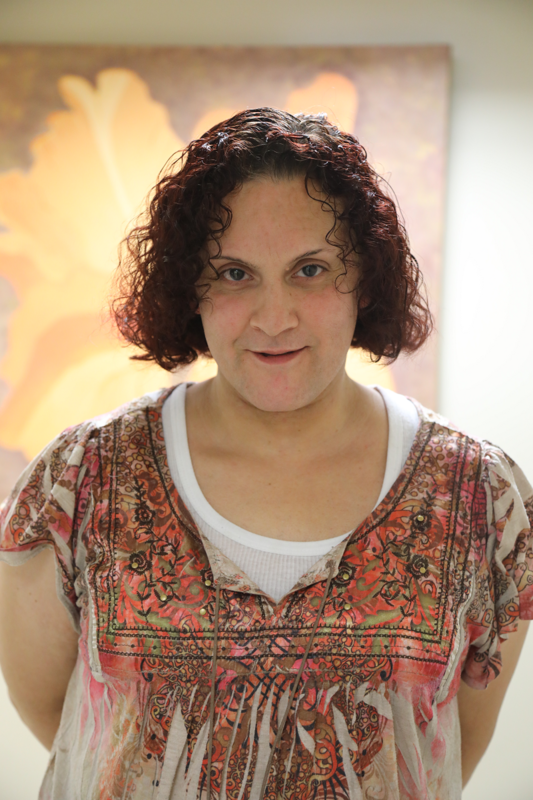 Finally, homeless and sick, she found her way to VOA-GNY’s supportive housing residence in Manhattan for men and women living with HIV/AIDS. VOA-GNY staff cared for Lisa, even when they knew their efforts were falling on deaf ears. Though Lisa acknowledges, “This was the first place I’d ever felt so comfortable,” she was not yet able to stop her destructive patterns. Nevertheless, staff didn’t abandon her. They nurtured the healthy choices she made, making sure she was eating and coming home at night. Finally, Lisa hit rock bottom. Sick and on the brink of death, she spent six weeks in a coma. Upon waking, she was terrified, and vowed to make a change. VOA-GNY helped arrange for in-patient drug rehabilitation and visited her every week to ensure she was making progress. Today, Lisa has been clean for nearly a year, and is studying to become a Credentialed Alcoholism and Substance Abuse Counselor. She educates others about HIV/AIDS and has reconnected with her mother. She still visits her former VOA-GNY home to thank the program director, case managers and others, “who stuck with me, and did not judge,” but remained patient and adamant, helping Lisa survive and ultimately thrive.